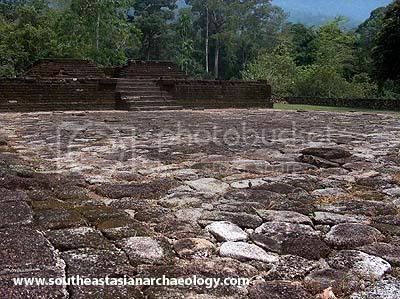 March 2009 update: New excavations by the Centre for Global Archaeology Research at Universiti Sains Malaysia have unearthed evidence for an iron-smelting facility in the Bujang Valley, dating to 300CE and the earliest example for Malaysia. See here and here. When the British acquired the island of Penang from the Sultan of Kedah, they probably did not realise that they were just 40km away from ancient settlement that once also was a port of call for traders entering the Malacca Strait. The settlement in the Bujang Valley dates as far back as the 5th century, and as I was in Penang the couple weeks ago to see my supervisor, it was impossible to not make a side trip to one of Malaysia’s most underrated archaeological sites.